It's hard to believe we're already halfway through 2018! Now seems like the perfect chance to revisit several of the year's under-the-radar album releases, as well as a surprise live release courtesy of First Aid Kit issued last week and an Eric Clapton documentary now available on DVD and blu-ray. 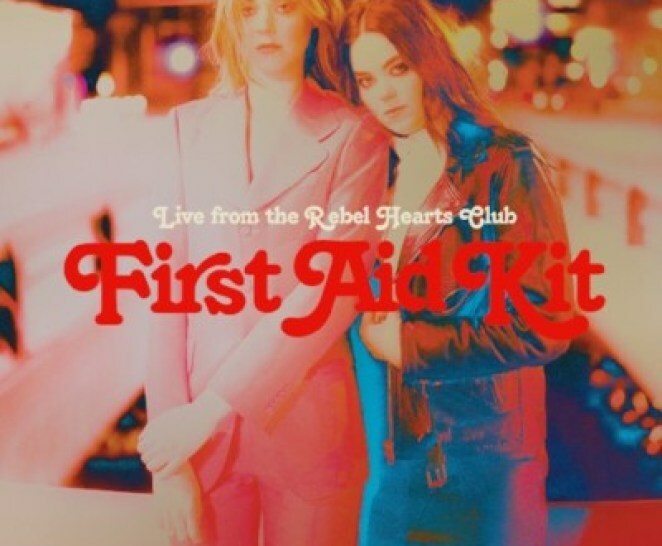 Tell me more: First Aid Kit has just issued a special six-track EP, Live from the Rebel Hearts Club, which features live versions of select cuts featured on the Swedish folk duo's most recent studio album Ruins (released in January 2018) as well as a blistering version of the concert favorite "You Are the Problem Here." The release (recorded in December 2017) captures the magic of the Swedish sisters – Klara (vocals, guitar) and Johanna Söderberg (vocals/bass guitar) – whose live recordings with a terrific touring band bring an additional level of depth and magic to their songcraft. The Söderbergs' otherworldly harmonies shimmer on "Rebel Heart," a song that both defines and defies Americana stylings; "Fireworks" is equally gorgeous with Klara and Johanna sharing lead vocal duties and once again using their harmonies to lift and bring nuanced power to their performance. The magic of "Live from the Rebel Hearts Club" doesn't end there; the traditional country strains of "Postcard" and resplendent "Nothing Has to Be True" also enthrall with each listen. The EP closes with "You are the Problem Here," a indie rocker that has emerged as an anthem of the burgeoning #MeToo movement with its straightforward message against sexual assault and misconduct against women. First Aid Kit is currently on a tour of the U.S., including an appearance at the Greek Theatre in Los Angeles on Sept. 26. Information: FirstAidKitBand.com. 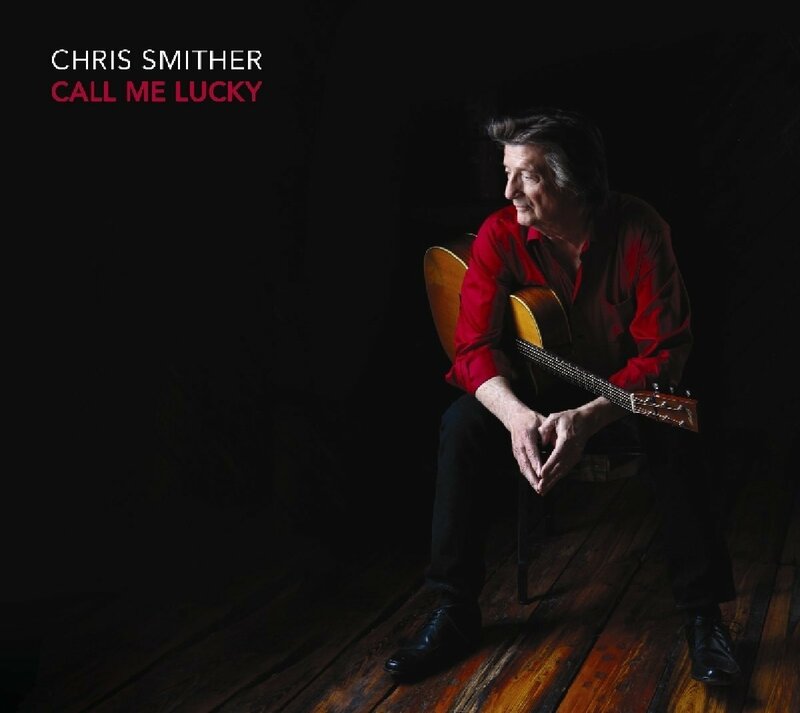 Tell me more: Released in early March 2018, Chris Smither's 18th album Call Me Lucky is the singer-songwriter-guitarist's first new LP of original material in six years and is a wide-ranging exploration of a myriad of musical styles enhanced by his probing and thoughtful lyrics; stellar readings of the songs are bolstered by the deft work of Billy Conway (drums, percussion), David Goodrich (guitars, percussion, piano), and Matt Lorenz (violin, pump organ, guitar). 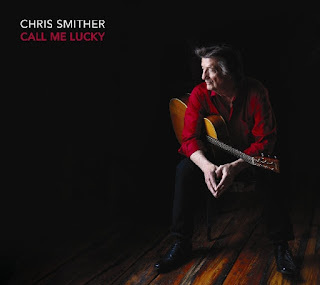 One of the most interesting tracks on disc one is a completely reworked and reimagined version of Chuck Berry's "Maybellene," which is delivered in a minor key and with a Southern blues soundscape; a lonesome fiddle and pump organ augment Smither's rich baritone vocals. Equally potent are the sparse and beautiful originals "Down to the Sound" and "By the Numbers." Disc 2 features wonderful offerings as well, including an amazing American folk-styled recasting of The Beatles' "She Said She Said." Lovers of top-tier blues, folk and musical poets (think John Hiatt and Neil Young) will want to get a listen of this superb two-disc set. Information: SignatureSounds.com. Tell me more: The vast plains of his West Texas youth are on display across George St. Clair's latest album, the 12-song Ballads of Capitivity and Freedom. 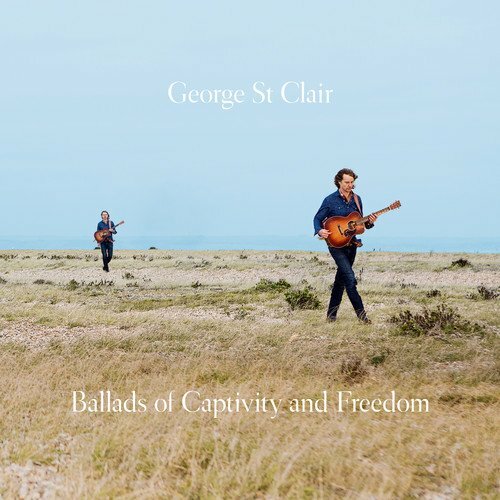 Although St. Clair now calls Europe home, his new disc fully captures the spirit and vastness of the American west. Armed with a winning blend of traditional country, Mexican folk and 1970s country rock, St. Clair sings songs that look at the area's historic struggles between Native Americans and white colonizers, as well as the ongoing plight of migrants. The infectious "Tularosa," Laurel Canyon-flavored "The Places Where They Prayed," flamenco-tinged "Cynthia" and the country rocker "Up To Fail" are early standouts. The pensive "Cimarrones" and driving "New Mexico" further showcase the artist's unique approach. Information: GeorgeStClairMusic.com. Tell me more: Directed by Academy Award winner Lili Fini Zanuck, Life in 12 Bars takes an honest and in-depth look at the life of Eric Clapton (the only three-time inductee to the Rock and Roll Hall of Fame). Using archive photos and film clips along with revealing interviews with Clapton as well as members of his family, band mates, the late B.B. King, Jimi Hendrix and George Harrison, the 159-minute documentary is compelling at every turn. Covering the major events in his life spanning from his youth in Ripley, Surrey, England to his earliest recordings with the Roosters and the Yardbirds in the early '60s to his groundbreaking efforts with John Mayall & the Bluesbreakers, Cream and Blind Faith later in the decade and through his subsequent solo career, the documentary takes a full-look beyond his success as a guitar player and songwriter and examines the challenges he has faced with failed relationships and drug and alcohol abuse. Perhaps the most heartbreaking moments come when the film details the death of his 4-year-old son Conor who was killed in fall from a New York City apartment in 1991, a tragedy that ultimately inspired Clapton to write the timeless classic "Tears in Heaven." 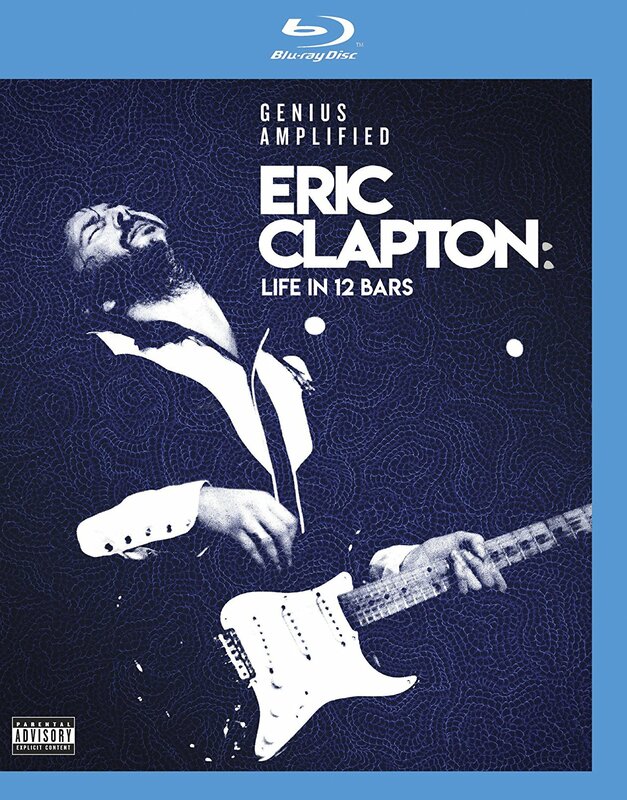 "Music saved me," Clapton admits when reflecting on his life near the end of the special. "It took the pain away." Life in 12 Bars is available on both DVD and blu-ray. 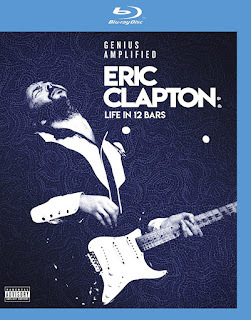 In addition, an official audio soundtrack that includes 32 tracks spanning Clapton's amazing career is available as a 2-CD, 4-LP or digital format release. Information: eagle-rock.com. I'm addicted to First Aid Kit's music. It's sooo good. Thanks for this review of some more of their material that I need to buy now!